The summer movie season is crawling to the finish line. Sony's long-developed adaptation of Stephen King's epic "The Dark Tower" finally hit theaters this weekend and won the domestic box office, though it was a very soft estimated $19.5 million on over 3,400 screens, according to Variety. Though Sony will spin that the movie defied its lousy 18% Rotten Tomatoes score to win the weekend, the second consecutive week when one of its movies has been one of the top domestic earners despite a rotten score — last week "The Emoji Movie" landed in second place at the box office despite having a 7% rating — the bottom line is there hasn't been much to interest audiences at the multiplex these past couple of weeks. Christopher Nolan's "Dunkirk" came in second place with $17.6 million, after topping the box office the last two weekends. 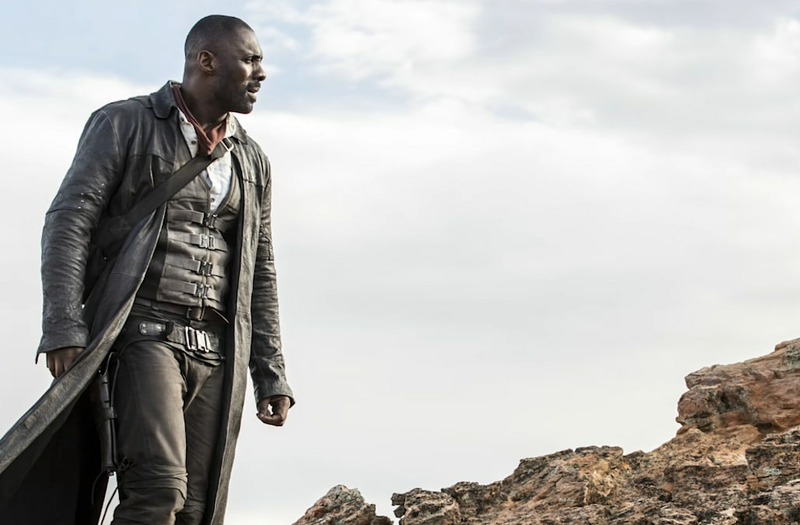 The $60 million-budgeted "Dark Tower" was a decade in the making. Previous directors like J.J. Abrams and Ron Howard (he's a producer on the movie) attempted over the years to adapt King's eight books into some kind of workable feature. A teen girl discovers she died in a car accident and relives the 24 hours before the crash over and over. Each time, she examines what she might have done differently to alter the outcome and save her life. The film adaptation of this popular young adult novel stars Zoey Deutch and Jennifer Beals. This very funny picture book imagines a new baby as a demanding boss -- complete with suit, tie, and briefcase -- who keeps his parents hopping to meet his every need. DreamWorks' 3D animated adaptation, directed by Tom McGrath (Madagascar), has Alec Baldwin voicing the baby and Jimmy Kimmel and Lisa Kudrow as his parents. In the ninth book in the popular Wimpy Kid graphic novel series, Greg is stuck on a hilariously disastrous family road trip where things don't go at all according to plan. The film adaptation, directed by David Bowers (The Diary of a Wimpy Kid: Rodrick Rules), stars Alicia Silverstone as Greg's mom and Jason Drucker as Greg. A teen girl who can never leave her house because she's allergic to just about everything falls in love with the new boy next door and starts taking risks in this compelling romance/coming-of-age story. The film adaptation of this young adult novel stars Taylor Hickson (Deadpool) and Nick Robinson (Jurassic World, The 5th Wave). This first book in the best-selling graphic novel series centers on two mischievous elementary school boys who create a mock comic book superhero based on their school principal. DreamWorks' animated adaptation, titled simply Captain Underpants, features the voice talents of Kevin Hart, Ed Helms, Nick Kroll, and Kristen Schaal. It's directed by David Soren (Turbo, Shark Tale). P.L. Travers' classic children's novel was already adapted by Disney in 1964. The book is charming and magical in its own way (if a bit old-fashioned). But it still offers timeless lessons about good manners and understanding other points of view. The film sequel, Mary Poppins Returns, will be a musical set in Depression-era London, with Jane and Michael Banks all grown up. It stars Emily Blunt as Mary Poppins, Hamilton star/creator Lin-Manuel Miranda as her lamplighter friend Jack, and Meryl Streep as Mary's cousin, Topsy. Rob Marshall (Into the Woods, Pirates of the Caribbean: On Stranger Tides) directs. This beloved middle-grade novel is about Auggie, a boy with a congenital facial deformity who, after being homeschooled his whole life, enters fifth grade at a public school. It deals with bullying and typical middle school drama as it tells the story of the entire school year in multiple voices. The film adaptation, directed by Stephen Scbosky (The Perks of Being a Wallflower), stars Julia Roberts and Owen Wilson as Auggie's parents, Mandy Patinkin as his understanding teacher, and Jacob Trembly (Room) as Auggie. Though director Nikolaj Arcel (2009's "The Girl with the Dragon Tattoo") finally figured it out, the end result was uninspired. However, with no other competition as most audiences have seen current releases "Spider-Man: Homecoming," "Dunkirk," and "Despicable Me 3," it turns out the greatest strength "The Dark Tower"had was being placed at the perfect weekend. This first weekend of August certainly is different from previous years that put an exclamation point on the season with titles that set record-breaking openings like 2014's "Guardians of the Galaxy ($94.3 million) or last summer's "Suicide Squad" ($133.6 million).